Cinderella wasn't born into royalty yet she exuded qualities of a princess. 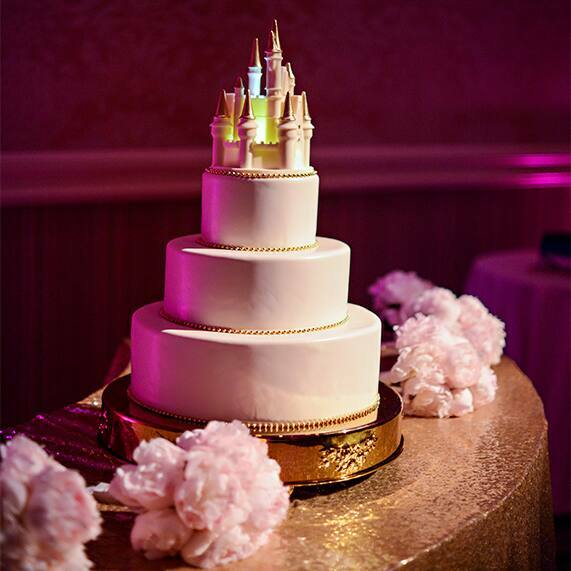 Similarly, this Walt Disney World wedding cake may seem simple at first glance, but when you take the time to look at it you can tell there's something wonderfully special about it. Have your own Cinderella moment...and eat it too! Still can't satisfy that sweet tooth? Grab a slice of even more princess inspiration over on our dream boards.